Nicholas Frank is an artist, writer and curator in San Antonio, where he relocated after a term as an Artpace International Artist-In-Residence January-March 2017. 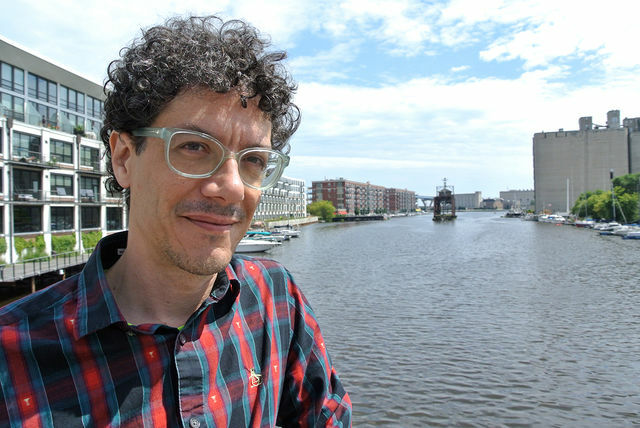 Formerly located in Milwaukee, Frank ran the Hermetic Gallery (1993-2001), co-founded the Milwaukee International Art Fair (2006-2009), served as curator for INOVA (Institute of Visual Arts) at the University of Wisconsin-Milwaukee, and co-wrote a new Fine Arts curriculum for the Milwaukee Institute of Art & Design, where he taught for eight years. Recent exhibitions include Sala Diaz in San Antonio, The Green Gallery in Milwaukee, Western Exhibitions in Chicago, and Nathalie Karg Gallery at the Untitled Art Fair in Miami.